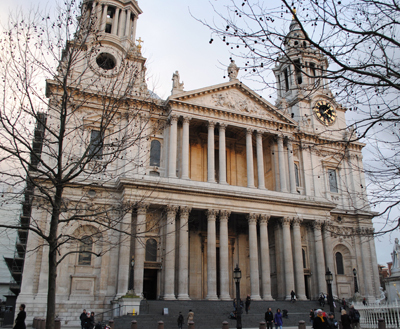 A service was held at St Paul’s today in celebration of the 300 year anniversary of the cathedral’s completion. 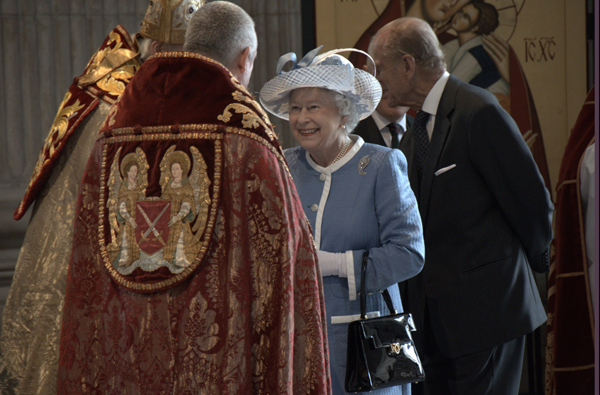 The tercentenary service also marks the end of a massive 15 year, £40 million repair and cleaning project, meaning the cathedral is now clear of scaffolding for the first time in 15 years. 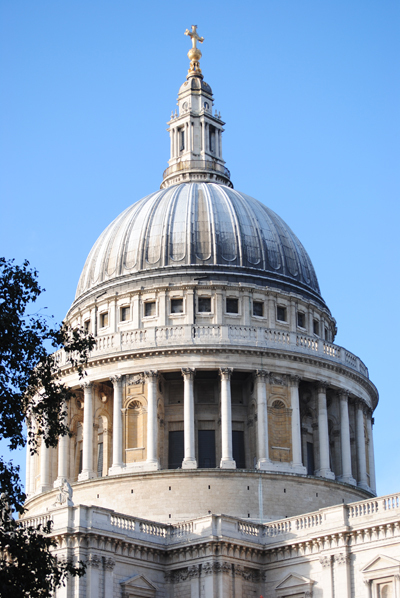 Designed by the indomitable Sir Christopher Wren, work on St Paul’s Cathedral began in 1677 and was formally completed in 1710 (although it had been holding services since 1697). (For more on the history of St Paul’s, see our earlier post, part of our series on Wren’s London, here). Said to have the largest dome after St Peter’s in Vatican City, St Paul’s has been at the centre of London’s (and the United Kingdom’s) religious and political life for centuries, hosting state funerals (Lord Nelson, the Duke of Wellington and Winston Churchill’s were all held here) as well as the royal wedding of Prince Charles and Lady Diana and many celebration services. Sights include the crypt – containing the tombs of both Nelson and Wellington – and the Whispering Gallery (see our earlier post on the Whispering Gallery here) as well as the exterior viewing galleries. To celebrate the cathedral’s liberation from scaffolding, St Paul’s is holding a 300th Anniversary Photography Competition in which photographers are invited to submit their best exterior shots of the building. The 10 winning images will then be displayed in the cathedral crypt. The competition runs until 16th July. To enter, upload pictures to St Paul’s 300th anniversary competition group at Flickr – www.flickr.com/groups/stpaulslondon/. For more information, see www.stpauls.co.uk/photocomp. • South Bank is celebrating the 60th anniversary of the 1951 Festival of Britain with a four month series of events. The official celebrations kicked off yesterday and will run until early September. Highlights of the celebrations include the Museum of 1951 – a temporary museum located in Royal Festival Hall featuring exhibits relating to the 1951 festival, themed weekends including next weekend’s ‘London in Love’, featuring performances by Billy Bragg, and a Festival of Britain-inspired ‘Meltdown’ curated by Ray Davies of The Kinks (runs from 10th to 19th June). The original Festival of Britain was opened on 3rd May, 1951, with the intention of developing a sense of “recovery and progress” among the British in the aftermath of World War II and marked the centenary of the 1851 Great Exhibition. The South Bank Exhibition was at the heart of what were national celebrations and was attended by more than eight million people. For more information on what’s happening, see www.southbankcentre.co.uk. • Historic royal wedding cakes have been recreated this Easter weekend in an exhibition celebrating the lead-up to this Friday’s Royal Wedding. The English Heritage-event Let Them Eat Cake, which is being held at Wellington Arch near Hyde Park Corner, features a “four-and-20 blackbirds pie” of the sort King Henry VIII gave to his new wife Anne Boleyn as well as recreations of Prince Charles and Lady Diana’s wedding cake and that of Queen Elizabeth II. The event, which is sponsored by Tate & Lyle Sugars, involves some of Britain’s leading bakers. For more, see www.english-heritage.org.uk/daysout/events/765107/. See Exploring London this week for more on the upcoming Royal Wedding. • The Mayor of London, Boris Johnson, confirmed this week that work will begin on a new cable car to cross the Thames River in East London this summer. The 34 gondola cable car will stretch for 1.1 kilometres, connecting Greenwich Peninsula and the O2 on the river’s south bank with Royal Victoria Docks and the ExCel centre on the north and carrying up to 2,500 people every hour. Construction will be carried out by a consortium of firms led by Mace – the company currently building the Shard Tower – and it is hoped it will be completed before next year’s Olympics.